How to unroot your android devices? So, to unleash and take over full grip over their smartphones people do root their Android devices. 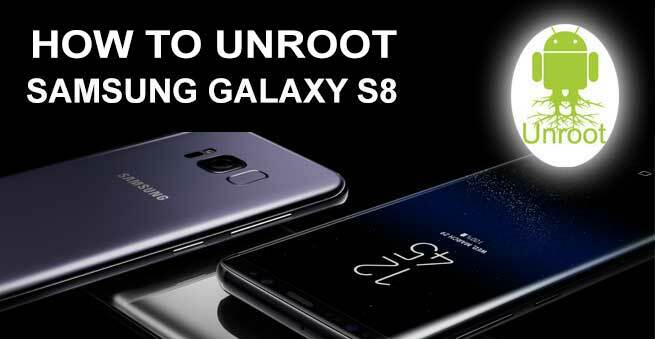 Although the rooting process can give them proper control over their devices they can’t update their android device and also they won’t get any warranty for rooted devices. If you are wondering what is rooting and unrooting? Then let me explain to you. Rooting is a process which allows users to take maximum control over the mobile operating system. To say in a simple manner by rooting an android phone you will gain authoritative access on your android device. 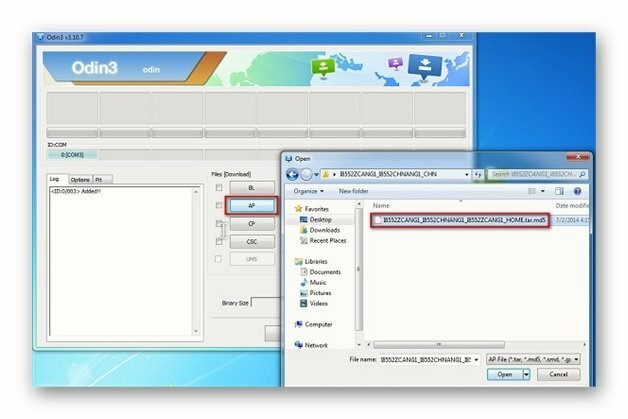 For example: if you are using a desktop computer that allows multiple users, In that multiple users, account only one will have more power than other accounts. It is because one is the administrative account which allows you to anything but another user will not have that power. Hereafter rooting your device, you will get “superuser” account which means it is similar to the administrative account in the desktop. This superuser account allows users to access all files on the operating system. Although there are few advantages for rooting android phone such as custom software (ROM), you can install custom themes, you can get rid of ads, speed and performance, increase battery life, you can install unsupported apps etc. As of now, you have seen its benefits but there are some disadvantages as well such as bricking, losing warranty, malicious software’s, security threats and so on. By rooting your device you have you’re your device vulnerable to all the security threats. If you root your Android device means you can’t update your rooted android device. You can’t even claim your warrant. That’s the reason why most of the people do want to unroot their Android devices before updating their phone. Now, let’s know about unrooting. Unrooting is nothing but the reverse process of rooting. Here, you have to unroot your android device to return it to your stock settings which means your phone will come back to the normal mode. This process will get your warranty back and you can quickly update your device as well. Now, after seeing this you might think it is best to be in the hands of Google protective arms. So, let’s jump into the unrooting process to get your warranty back. There are plenty of online tutorials readily available to unroot your android device. But the problem is most of the ways are outdated and some process is hard to unroot. So, I have specially created this post to unroot your device quickly. Let’s get into the process of how to unroot your android devices. In this guide, I will mention five effective ways from where you can uproot your android device. All these methods are easy so you don’t have to worry too much. Let’s get into the first method of unrooting. SuperSU is a popular tool for managing rooted android devices. This is thus far the best and easiest way to unroot your android devices. SuperSU tool is having lots of cool features which are having the ability to unroot your device. Firstly, Download and install SuperSU app from the Google Play Store. Then Install that app and launch that app. After launching the app hover over to the “settings tab”. Now, Scroll down to the bottom and you will see an option “Full Unroot”. Click on that “Full Unroot” button. 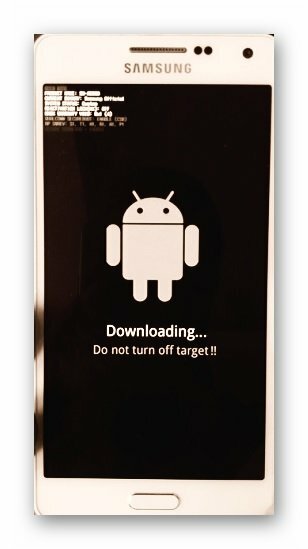 After clicking that you will be asked to confirm that you really want to unroot your device. It will take some time and once the process is done SuperSU will close automatically. And, it will restart your android device. When your Android device is back to its normal state just uninstall the SuperSU tool. With this process, you have successfully completed unroot process. When you want an alternative to SuperSU? You can find few apps but the problem here is you can’t do it perfectly like SuperSU. Even though there is a slight chance of unrooting your phone by using other apps but it can work in some situations and it won’t work in some situations. The best option for the unrooting android device after SuperSU is universal Unroot app. This app will easily get rid of the unrooting process but the problem of this app is it will work with only devices. You can’t unroot Samsung or other Samsung like devices on this app. So, this process is complicated that’s why it is always best to unroot your Android device by using SuperSU. Usually, people always think that rooting process is a complicated task. In reality, it is just nothing but a bunch of files rewrite your commands on your phone. That’s it; if you really want to get rid of that root process all you have to do is retrieve your phone to the normal stage by getting rid of those root files. To get rid of this you can use a file manager with root access. I’m sure that lots of people know about the ES file explorer app because it is an awesome app with great features. With the help of that ES explorer app, you can even unroot your android device. Although this is a trickier process that the above two process but it will definitely work. Now, if you are wondering how to unroot your android device using ES File explorer means follow below steps. First and foremost step is, Download and install ES File Explorer from Google Play Store. Then Launch the ES File Explorer app and click on the Menu. After going into the menu scroll down until you see the “Tools” option. Then simply turn on “Root Explorer” in the tools option. Now, Grant it with root privileges if prompted. Come back to the main screen. Navigate to your device’s root folder. You can find your root folder with this “/” in your explorer. Now, access your devices main drive and simply look for “System”. Select “System” and click on the “bin” option. From there, just delete “busy box” and “su” files. In case, if you don’t find those files in the process means hover over to the next step. Go back to the system folder and try selecting “xbin”. If you can see “busybox” and “SU” files over there then you can delete them. If you cant find them means go to the “/” explorer and open the “app” folder. Then Search for Superuser.apk files and delete that file. After deleting that file restart the device. That’s it your android device is back to normal stage successfully. So, you can enjoy your warranty and you can even update your phone. Until now you have seen three effective ways to unroot your android devices. Now, let’s jump into the untold ways of unrooting devices. Generally, you can unroot your Android device by installing an OTA update. But, remember when I started this post I said that root gets in the way of updating your Android device? If you are keening following this post means obviously you will remember that. Well, the answer to that question is you really can update your Android device through the traditional and old of ways of installing updates. But, you can still push and install your updates manually with advanced options. Those options are harder and trickier than other ways. That’s why staying away from those advanced options are best for the normal user. If you are tech freak and having enough knowledge on doing that means you can do that at your own risk. Now, in this post, I’ll not get into those advanced ways right now. But here I will tell you a simple trick that is whenever you update your software those updates will break the root access of your device. Which means your root access will revert back to the normal state. Here, most of the root users will root their devices again after they install their updates. But, you are satisfied with normal device means you can easily update your device in the same old and traditional ways. The main drawback of this method is that you have to wait for an update to arrive manually. Remember one thing you have to uninstall SuperSU or any other root access related app from your device then only you will get the update. Note: Be careful while updating your device manually and also remember that, this process will only work when you are using stock recovery on your device. So, be careful with this method of unrooting your android device. Although this is an untold way in most of the “unroot guides” hovering over the web. I have relieved this just to increase your knowledge of the unrooting android device. Most of you might be confused with the word stock firmware. Right? Here Stock firmware is nothing but official software which is specially designed by the device manufacturer for a particular device. The Stock ROM/ firmware is the only thing which does not undergo any type of changes in the code which is written by the manufacturer. Now, you learnt about stock firmware. So, taking your phone to its original firmware state is another effective way to unroot your phone. With this process, you can easily revert your phone back to its original state. This process will work despite your devices ROM kernel or without any recovery package. The reason for that is, they all needed software codes are packaged together in this stock firmware that’s why you don’t have to put extra codes on it. The sad part is this method is complicated when compared to the other methods. Along with that, we can’t quite give you specific mobile configuration tutorial to you. It is mainly because each phone has different ways to accomplish the stock firmware installation. So, we can’t give each and every phone model specific firmware tutorials. If you really want to do that means do a bit of research on how to do stock firmware on your specific Smartphone model and follow the process. Usually, you have to download their specific firmware files and you have to use USB debugging option and download pc software and do the process. 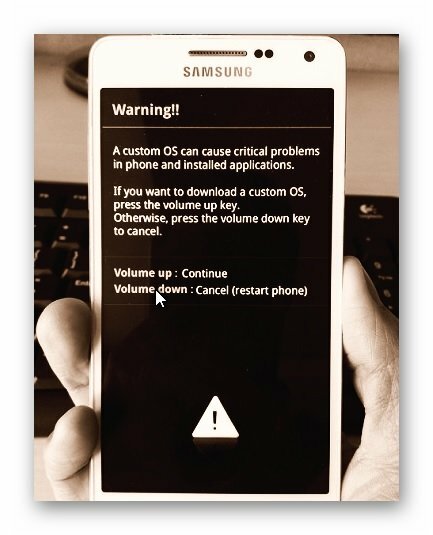 Here in this article, I am giving a Stock firmware installation method for Samsung devices. Usually, this process works for most of the Samsung devices. Do remember one thing there is no guarantee that this process will work on all Samsung devices. So be precautious and there is no guarantee on anything. Do it at your own risk. Firstly, Back your device and store your backup file on your PC. Then visit Samsung Official website to quickly find correspondent driver software. Now, Google the driver software of your android device. Then download and install it on your PC. After that, install Kies to install or updated drivers. Now, Visit Samsung updates and download the Stock firmware of your Samsung device. Note: Be precautious and search with your model number. Find the firmware for your model number and select country and download it. Then extract the file on your PC. Usually, the file types that Odin uses are*.bin,*.tar, and *.tar.md5. After extracting you will find “.md5” file. Just keep that file aside and move to the next step Odin. Download Odin latest version from Sam Mobile or find another alternative. Exact the file on your desktop location. Then right-click on that and select “Run as administrator”. Note: Always remember to run Odin as Administrator. Now, bring your Samsung device into download mode by booting. To do that, Power off your device. Press and hold Volume down Key, Power key and Home Key in your Samsung device. When you feel that your device is vibrating, release power key and keep holding the volume down and home key. You will get a warning screen before you enter into download mode. Now, press Volume UP key to enter download mode. The screen will appear as Downloading do not turn off target!!. Now as you are in download mode. Quickly connect your device to PC. 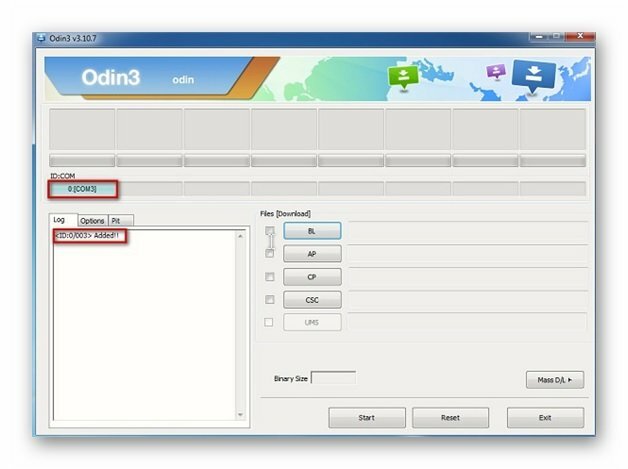 While you connect to your PC your device should automatically recognize by Odin. You will get a notification that says “Added”. In the meantime, you will see a light blue box with an ID number. Such as “0[COM3]” in ID: COM Box. Carefully, Click “PDA” or “AP” depends on the Odin version you are using. If you are using new version then click on “AP”. Now, click on “Start” button after adding the file. Do not remove or operate on your device until it’s finished or its shows Failed message. If you notice flash process is done means you I’ll see a big green box saying that “passed” or “Reset”. If you see that green box means you have unrooted your device successfully. So these are best ways to unroot your android device. Now you have all the required information in your hands. So, take your rooted devices and start the process to bring back your warrant. If you are having any doubts means let us know in comment section. Next How does stress affect students health during their studies?